Washington Free Beacon Video of the Day, …And I Don’t Even LIKE John McCain edition. But I do like the Washington Free Beacon, which created this*. #rsrh I am not thrilled with this. Yeah, sure, from their plumage they’re apparently Code Pinkers, which is a group that I avoid comparing to pond scum mostly because pond scum doesn’t deserve the comparison, but since when do cops get to put hands on the throats of people who aren’t, you know, attacking them or anything? I mean, seriously. You take a swing at a cop, the cop smacks you to the ground, that’s how it works. No beef there. But was this really proper procedure? – I ask mostly because I might feel like dancing at the Jefferson Memorial some day, and the last time I checked there are supposed to be some pretty hefty Constitutional protections in place to allow me to do it. I think that the US Park Police needs to review/update its training procedures. 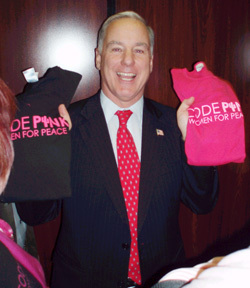 PS: To reiterate… to hell with Code Pink. I hope that they win their court case, get a buck in damages, and have to pay their own court costs. These would be the four Democrats [Sen. Barbara Boxer (D, CA); Rep. Henry Waxman (D, CA-30); Rep. Dennis Kuchinich (D, OH-10); and Rep. Raul Grijavla (D, AZ-07)] who provided letters of introduction and support to the pro-terrorist groups Code Pink/Global Exchange in 2004. Those groups used these letters to facilitate their delivery over a half a million dollars’ worth of aid to terrorists in Fallujah actively fighting American troops; which is, by the way, treason by any reasonable interpretation of the US Constitution. Note that I am not accusing these Members of Congress of committing treason, merely the American members of Code Pink and Global Exchange. 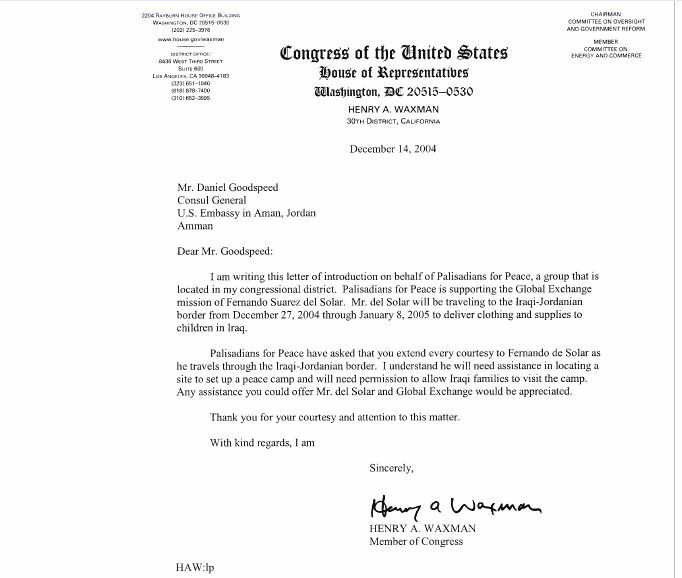 Rep. Waxman – one of the Congressmen involved – claims that he was not aware that the letter of introduction and support that he provided would be used in support of ‘insurgents*’ (by which Waxman means terrorists shooting at American and allied forces in Iraq); this ignorance is appallingly possible, given that Waxman is a Democrat, and thus defaults to being appallingly pig-ignorant on national security, national defense, and foreign affairs. No word as of yet what the other three Members of Congress were thinking – or, indeed, whether they were thinking at all. No doubt if asked they will likewise deny treasonous intent on their part: it is generally preferable to be thought merely abjectly stupid, instead of guilty of a crime that technically carries the death penalty. As ye sow, Nancy, so shall ye reap. Ace of Spades HQ gives bravery props to the Speaker for snapping back at the Code Pinkers; I don’t. A mad scientist who can’t face her own creations is no mad scientist at all. And ‘created’ is meant deliberately. Code Pink was carefully nurtured and developed to spew hatred on command towards the Republican party in general, and George W Bush in particular, the better to elect Democrats who would turn around and not end the war, but would loot the treasury blind. And so it was done; but since we don’t have an euthanasia program in this country, the Democrats instead fairly callously threw them and the rest of the antiwar movement aside like a used prophylactic once they were no longer needed*. And now they howl and throw things at Democratic functions. I wonder what the next step’s going to be? And I wonder whether Nancy Pelosi will ever accept responsibility for anything… untoward… that happens accordingly? *The fact that I despise the antiwar movement myself, and am currently enjoying watching flail around literally howling their betrayal (listen to the audio on that YouTube video again), doesn’t actually excuse the Democrats’ behavior. It merely adds to the antiwar movement’s humiliation. Everything you need to know about Code Pink. PS: The Democratic Party has gotten some money out of Code Pink, over the years. They should give it all back now, please. Annnnd Rumsfeld doesn’t even break stride. I’d note that the antiwar activists seen here had fallen from their high place, except that they were never particularly high up to begin with. And thank God for that, huh? Imagine the disaster that we’d be facing today if we took people like those in Code Pink seriously. Too unbelievable for the Onion. “Code Pink Protester Sits Quietly, Listens to Testimony, Offers Thoughtful Response After Hearing.“ I mean, there’s satire, and then there’s Onion-level satire, and then there’s Full Metal Unicorn. Jim Geraghty’s proposal is Full Metal Unicorn. To a Code Pinker, “unhinged behavior” is merely a byproduct of their respiratory systems. You can trust me on this, you know. I am apparently a smart guy. But if I’m so smart, why ain’t I rich? Or, the neocons induct its newest member. Not In Your Name, International ANSWER. Or Code Pink’s, for that matter. Or anybody else who thinks that hanging with them is neat. After a slow start, correspondents said voting was brisk, including among Sunni Muslims, who largely boycotted the last elections. The vote is seen as a test of Iraq’s stability ahead of a general election due later this year.